With remote working and team collaboration now commonplace, employees demand anytime, anywhere access to their work files. When the workplace lacks these tools, employees take productivity into their own hands using their personal mobile devices and free or low cost consumer grade productivity apps to get stuff done. What they may not know is that these devices and consumer grade solutions typically lack the rigid security requirements that businesses demand and therefore are unintentionally introducing risk into the workplace. In order to minimize risk and maintain a secure environment, you need to standardize and develop use policies around data access. 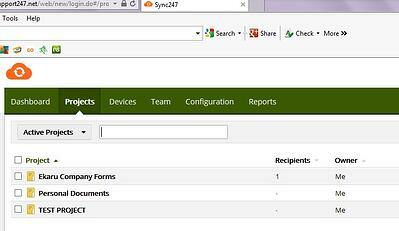 A good place to start is to standardize on your file sync and share solution. Let us help you make that transition easily and securely. Remote access to an on-premise server has been the standard "business class" way of collaborating for years. However, in today's mobile world, it gets complicated to maintain and its time for reinvention - "Server 2.0" in the cloud. Sync247 was built for business with enhanced security features designed to protect information security , with an easy-to-use intuitive interface to ensure adoption and compliance for your employees. Its easy to use. Access a folder on your desktop where you can drag and drop files just like any other folder on your desktop, or access files on line through a web browser. 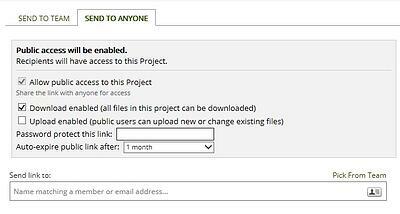 Users can set "permissions" to share information to different people or groups of people in their workplace, and alsos send files to outside users with a link. This is great when you're working with large files and email won't handle them. You can also set the link to expire in a fixed amount of time and password protect the link. Contact us for a demo at support@ekaru.com.